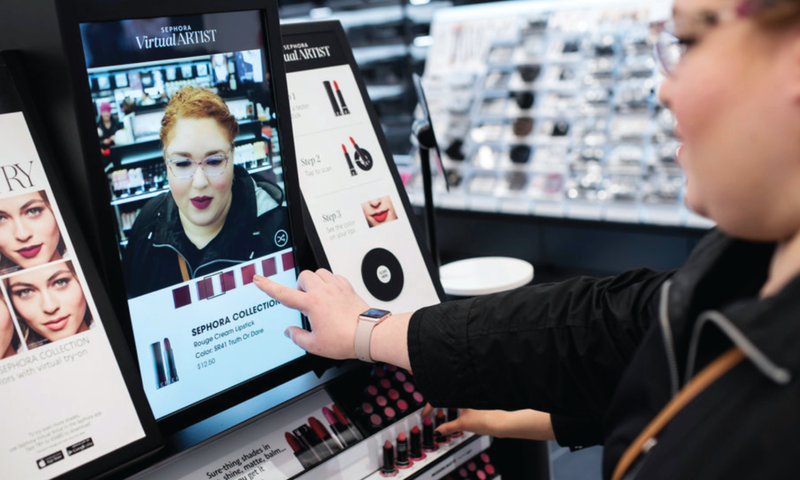 Sephora is a wonderful example on why it is so important to integrate differentiated digital experiences naturally in the shopper journey. By integrating with augmented reality partner, Modiface, Perch provides an experience that immediately engages the shopper as they approach the interactive display. Trying on lipsticks is onerous, and eye lashes, impossible. Sephora makes it easy and convenient to see how the products look directly on you, saving the annoyance and high cost of samples. Customers are immediately engaged, driving 10x engagement from regular displays. The sales lift and other KPIs are off the chart. The Sephora Virtual Artist won a 2017 Clio for Digital/Mobile in the Beauty category.